In 18 May 2001 Unesco (United Nations Educational Scientific and Cultural Organisation) Paris proclaimed Kutiyattam as “Masterpiece of the Oral and Intangible Heritage of Humanity” . In july 24, 2001 in a function organised by the Department of Culture India and Sangeet Natak academy in New Delhi, The Living Exponent of Kutiyattam Padmabhooshan (Dr). Guru Ammannur Madhava Chakyar received the first citation of UNESCO for Kutiyattam from its Director General Koichiro Mastura . Research Facility in Gurukulam is also available. There are lots of visitors form different countries to Gurukulam and some of them are also sho their taste to make research on different aspects of Kutiyattam.  Here we have old manuscripts which are essential for the research about Gurukula System and Acting Techniques of Kutiyattam. Guru Ammannur ChachuChakyar born in 1881 at Ammannur Chakya Madhom Irinjalakuda. His father is Nantyarli Manakkal Ittiyavu Nambutirippad and mother Savithri Illodamma. His given name is Parameswaran, but he called Pachu and it shortened to Chachu which stuck on. His education followed the traditions of those time Sanskrit education which is essential for classic performance from his mother , herself a Sanskrit scholar. 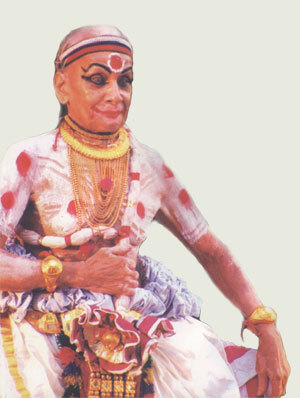 He learnt Kutu and Kudiyattam under Kidangur Rama Chakyar. His Debut at the age of 15 at Thirumandhamkunnu Bhagavathy Temple near Perinthalmanna in Malapuram District. He had performed several palces and his carrer continued till about the age of 62. then he retired ffrom the stage and spend a uite old age at his home. He has got GOLD CHAIN and BRACELETS from the ruling personalities of Kerala. The ever first Snageet Natak Akademi Award and Pension. Saraswati Haram by the Public of Irinjalakuda in 1965 on his age of 84. Guru Ammannur Parameswara Chakyar born in 1916 at Ammannur Chakyar Madhom Irinjalakuda. Guru Ammannur Madhava Chakyar born in 13 May 1917 at Ammannur Chakyar Madhom Irinjalakuda. His father is Vellarappilli Matassi Manakkal Parameswaran nambuthiri and Sreedevi Illodamma. His Gurus are Ammannur ChachuChakyar and Ammannur Valiya madhava Chakyar. His debut at the age of 11 at Thirumandhamkunnu Bhagavathy Temple near Perinthalmanna in Malapuram District. He lernt Sanskrit from idushi Kochikkuvu Tampuratti and Vidvan Manthitta Namputhiri. He also learnt Natyasastra and Abhinaya from Bhagavatar Kunjunni Tampuran , Kodungallur Palace.